Hello bloggy people. It’s Everett, and it looks like I’m flying solo, but beardedly, this evening. Eric was here earlier, but he headed home a little while ago… at 8:15 PM. 8:15, can you imagine that? I don’t suppose he thinks it’s a half-day or something! Anyhow, on with the questions. I am taking my 18-year old daughter Dakota on the Dream on March 12, 2011, to celebrate her high school graduation, and I had asked if you could arrange a surprise for her. I’m so proud of all the hard work she’s done these past 4 years. She works 25+ hours per week…and she’s got straight A’s in ALL her classes…her current GPA is something like 4.6 !! I am going to make our week on the Dream something that she will remember forever…I’m going to miss her terribly when she leaves for college, but this vacation should be the proper send-off! We’d be glad to ask those on the Carnival Dream to do something special for Dakota’s trip! I’ll contact them and see what we can do. The water exercise class was led by one of the dancers. My husband is diabetic. One thing we love about Carnival is the sugar free deserts are wonderful and there is always one offered. As long as we take a couple of walks around deck each day, my husband can eat those and do well. We are booked on the Splendor in January. Hopefully, it will be up and running by then. If not, we will happily take another ship at another time. We have many to choose from that we have not been on yet. Our thoughts are will all who are on the Splendor at this time. We really feel for all. This has to be difficult for the crew as guests will get testy when hot, tired and bored. We love the balcony rooms and no a/c and no lights is another reason to book one! While I’ve never tried one myself — I rarely deviate from the chocolate melting cake — I’m glad you enjoy Carnival’s selection of sugar-free deserts, and suggest that anyone who’d like more information on this and other ways we can customize the dining experience for those who need something a little out of the ordinary check out Carnival’s special needs page. I’m sorry to hear that your Carnival Splendor cruise will be disrupted by the extended repairs process, and hope that you’ve managed to work something out by now so that your January vacation will be one to remember. Will Carnival be putting you and the crew up in hotels and feeding you all there too while this burned ship is repaired. You couldn[t possily let them stay on the ship. We appreciate your concern for the crew of the Carnival Splendor. The crew were indeed put up in local hotels immediately following the arrival of Carnival Splendor to San Diego, pending their re-assignment to other ships. I just want to say, that I am one of those people booked on the splendor in the next few weeks. I am waiting to hear what will happen with my booking but mostly I wanted to say that I know that Carnival is not a problem and I am still ready to cruise with you again. Best wishes to you. I know this has to be very stressful for you and the rest of the crew. I’m sure you’ve heard by now about the Carnival Splendor’s repair schedule, and can only hope that we’ve already had the privilege of being able to welcome you aboard another Carnival cruise! We genuinely appreciate your understanding attitude and good wishes for us and the crew. Hi John. Let me start by saying, you rock! My husband (Eric) and I sailed with you for our Honeymoon cruise on Freedom in March 2007. It was the honeymoon of our dreams, we had the best time ever. And, you were awesome. We use your “bugger in the sugar” joke with my son all the time. So, we were booked on the Splendor for 1/9/11, and super excited because we had our first Suite with VIP check in. But, we learned early this morning that our cruise was canceled due to the repairs. Sa la ve. We totally understand that Carnival wants to make sure the ship is in tip top shape before it sails again. We made lemonade out of lemons and re-booked on Freedom for the same date (1/9/11). Unfortunately, we can no longer afford the Suite because now we have to pay airfare (we were going to drive to Splendor). Getting to the point, for our Freedom Honeymoon we were seated in the Chic Restaurant, upstairs, right by the entrance at the top of the stairs at this awesome big round table with a fabulous group of people. Can you work your magic and get us (me, Eric and son Brian) seated at the same table again? As I just mentioned to Debbie above, I’m sorry that your cruise aboard Carnival Splendor was disrupted, but glad to hear that you were able to reschedule so that we can welcome you aboard on the same date. I’m not sure how the floorplan of the Carnival Freedom’s dining room compares to that of Carnival Splendor, but I’ll pass your request along to the maître d’ to see what can be done for you, Eric and Brian. Hope you guys enjoy your cruise! I know you are very busy person. After having a experince like no other on the splendor. Which by the way not only did watching the news about the ship seem interesting it made us want to book a cruise on the ship. Well anyways me and my wife cruised with you on the Dream in January of 2010. Which was a awesome cruise. Then we loved it so much we went back on the dream in oct of 2010 but we took our 2 children aged 2 and 6. And they loved it. we have been home for almost 3 weeks and they are still talking about the cruise ship and wanting to go on another one. Well since me and my wife knew that taking the Kids on a cruise would be a lot of work for us especially the 2 year old boy who is very active. We booked another cruise on the Liberty in January of 2011 for just us to go on to celebrate our 10 year wedding anniversary. I was wondering if we could request to have a table for 2 in the main dining room also was wanting to have a table in the center of the dining room so that way we could see all the action. I noticed on our last cruise that there where empty tables for 2 people everywhere in the center area. Our Cabin Number is 6481 on the January 8th 2011 Cruise leaving from Port of Miami. I understand if you do not have time to worry about this. I just thought it never hurts to ask. Oh boy, a two year-old on a cruise. Well, from what I’ve heard, a two year-old pretty much anywhere makes for an interesting experience, at least when they’re awake. That said, I have no doubt that both of your children will have a great time aboard. As for your dining request, I’d be glad to pass it along to the ship, to see what can be done for you. While I’m not sure what the deal was with the empty tables on your last cruise, they could have been reserved for people who simply chose to dine elsewhere on that particular evening. I hope that we can figure something out for you, and that you enjoy your cruise next month. First off, I want to tell you what a great job I think you and ‘everyone’ at Carnival did, during the ‘Splendor incident’. WTG! After a very long wait that including having to change our cruise date twice, my husband and I are in the final countdown to our (belated) anniversary cruise on Carnival Dream on January 29th, 2011. This will be our eighth cruise with Carnival (working towards Platinum!) and we are SO excited! I’d be happy to write a short review when we get back, but I’m sure we will have a wonderful time, as we always do! I hope you’re having a great time at home with ‘your girls’ and ‘thanks’ so much for everything you do!! Thanks for the kind words regarding our handling of the Carnival Splendor incident, and I’d be glad to pass your dining request along to the maître d’ aboard Carnival Dream. I hope that they are able to accommodate your request, but am sure you’ll enjoy your cruise regardless. I speak for all of us at Carnival — John included — when I say we love hearing about peoples’ cruising experiences, so be sure to send it along! I will be joining the ranks of Platinum member on Feb. 6 when my husband and I sail on the Carnival Spirit (he joins the platinum ranks on the next cruise). We are bringing another couple with us who have never sailed with Carnival (they rant and rave about RC and were reluctant). I know they will LOVE Carnival. Years ago when you booked your cruise, you could request a 6-8 person table for dinner, 4 person table or table for 2. We always requested a 6-8 person table because we love meeting new people. This obviously changed several years ago and it seems every time we cruise now with another couple, we are seated at a table for 4 (we like them but really like interacting with other couples). Now, we have never had a problem getting moved but we would prefer to not have to wait until the first night to get this done. We really wish Carnival would go back to the old way of requesting tables. My request is that you get us assigned to an 8 person table for our upcoming cruise (again, Feb. 6, Carnival Spirit, Early Seating). Thank you if you are able. As a side note, I knew you had a blog but never read it until the incident on the Splendor. My husband and I were glued to your blog during your account. Thank you SO much for writing. It really allowed us to know what happened….. we could almost feel the emotion as the Coast Guard ship, USS Ronald Reagan and the Chihuahua arrived. You have reinforced our love for Carnival and its cruises. God bless you and we hope to meet you on the beautiful seas some day. Trust that many of us here were as glued to John’s harrowing blog posts over the days following as you were, and that your kind words about the company’s handling of the Carnival Splendor incident continue make us feel great, even a month after the fact. I am one of those “new” viewers to your blog after the Carnival Splendor. Had no idea your blog existed until then…I had just started reading/posting on the Carnival forums, after booking my 3rd Carnival cruise, and found your blog from there. It was a BLAST and I have thoroughly enjoyed continuing to read after the Carnival Splendor account! I have booked my 3rd cruise, with my stepdaughter for her Sweet 16. In addition, my parents, who are aging, have finally booked with me. I want to make this cruise special for all of them..my stepdaughter has had a rough life and has finally come to us just last year. She’s never had anything special done for her, and we are trying our best with a limited income. We are a blended military family of 8, so money is not always on tap, but we wanted to make this very special. My folks have struggled all their lives to make ends meet and make a life for my brother and me. They are on a fixed income and fancy vacations are not often for them, either. So we are booked on the Ecstasy Mar. 19, 2011. Anything you could do..a personal note wishing my daughter, Dawn, a Sweet 16, a note from the Captain for my folks, David and Joy Padgett, for their first cruise, anything at all to let them know how special they are, doesn’t have to cost anything, but anything you could offer would be SO appreciated from this very new, but suddenly very loyal, fan! You rock, John! Keep it up!! Let me first start by thanking your family for their service and dedication to our country. While you guys deserve the world, I’m sure the ship will be able to do at least a little something to make the experience aboard Carnival Ecstasy one to remember for all, and a wonderful first cruise for Dawn and your folks. 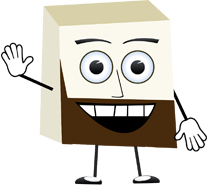 Let me personally welcome you to John’s blog and invite you to further explore the Funville Forums! 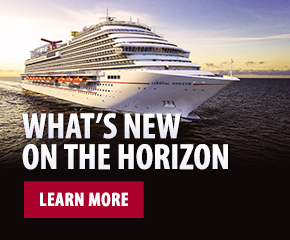 Do you have any idea when the Carnival Magic will start taking Reservations for the Steakhouse? I was also Wondering if Cucina del Capitano will be by Reservation also? One other Question, on the Inagural 6 nite from Galveston on Nov 14 2011 will there be 1 or 2 Formal nights. Tring to get the questions out early as we just booked Suite#7334 for this cruise. Hope to see you in Galveston on the 13th and looking forward to all the Presentations, Cerimonies and PARTIES that will be going on welcoming the CARNIVAL MAGIC to Galveston..
Let me take your questions one-by-one. First, we’ll ask around and see if Carnival Magic can be added to the Steakhouse reservation request form at this point. We’re definitely not taking dinner reservations for Cucina del Capitano just yet, but I can see why you’re eager! The 6 night cruise features two elegant nights, and they’re usually the second night and second-to-last. We’re also not sure what events have been planned for the inaugural Galveston cruise, but we’ve asked around and will let you know when we’ve heard. Enjoy the Carnival Magic… I’ll bet you can’t wait! Great Blog as always! I loved the 33 phone calls! I wrote before about our next cruise on the Conquest for Christmas week – our 8th time on the Conquest. It will be a little different though because we lost our sister last year, so it’s the first time without her. In May, I had a nice visit to a local hospital and had a 95% blockage in a major artery fixed and I found out I am also diabetic like my younger sister who passed. So I have made major adjustments and have lost 45 lbs with more to go. I always remember that Carnival has great sugar free desserts, and I also found out that the coffee house has sugar free syrups for the lattes! I’m wondering if the candy store has sugar free candy? And I saw the video on the sugar free melting cake – wonder if I could place my order fo that now? We will be on the Conquest 12/19 sailing (my birthday is the 20th) – trying to hint to my family that they do have sugar free birthday cakes! Maybe the platinum gift for my birthday cruise will be something besides the frame! ? We will be in cabins on the Empress deck – 7338 /7340. When do you think they will change the shows on the Conquest? We have seen the same two shows since we first started on this ship in 2003. What is the rule on opening the balconies? We generally have ours open, but our last time on the Conquest (2008) they would only open it when we were in port – which wasn’t very helpful. We really like being able to go back and forth from the two rooms and to share time on the balcony together. one more: If we have two past passengers traveling with us who are not platinum, can they board and disembark with us? We are all in the same vehicle, so it doesn’t do much good for us to get off early if they can’t join us. OK – thanks so much for your time! I guess I have a hard time being concise! Arrgh! BTW: Looking forward to seeing the Magic next Christmas – new shows then for sure! I’m so sorry to hear about your sister’s passing, and hope you’ll still enjoy your cruise. Congrats on the weight loss, and keep it up! The selection of bulk candy at Formalities doesn’t currently include any sugar-free. We expect it to in the future, and are trying to make this happen. I hear that sugar-free melting cake is currently being tested, though it may not always be widely available, so check with the dining staff onboard your cruise. We’re trying to get the Carnival Conquest’s show selection changed, but nothing has been finalized yet, feel free to keep checking back on the status. Finally, sorry to note that you will only be able to priority-debark if your two friends are either sharing a room or Sail and Sign card. A reply would be appreciated. Many thanks. My husband and I will be going on our first cruise on January 28, 2011 (Carnival Fantasy out of Charleston). As a first-time cruiser I have lots of “stupid” questions. I’ve looked through Carnival’s FAQ’s and done online searching. What is the best source to get answers to the questions I still have? It’s silly stuff like what time you have to be on the boat for a 7 pm port departure (not the cruise departure, but port calls)– is it an hour before, or can you run up at 6:59 and still make it? And just how much do drinks cost on board? Is there a price list, or do you just get a huge surprise at the end of the cruise? Some people tell me not to worry about that sort of thing and that I’ll figure it out on board, but I’m kind of OCD and won’t have fun if I’m constantly worrying about little stuff like that. I don’t expect you to answer my questions, but if you can point me to a resource I would appreciate it! While I usually agree with the “don’t worry” crowd, I understand why you’d want to know up front what to expect. We typically suggest that you aim to be back onboard 30 minutes before the sailing time, but be sure to listen to the announcements and look at the signs posted when you’re leaving the ship. It will be very clear when you should be back onboard. While I don’t have a complete list of drink prices handy, soft drinks start at $1.95, $3.95 for domestic beers and frozen drinks run a few dollars more, around $7. If you have more questions in advance of your cruise, I’d try asking your fellow cruisers in the Funville Forums. I’ll bet they’d be able to help you out. Hope you have a great time, and try not to worry (too much)!